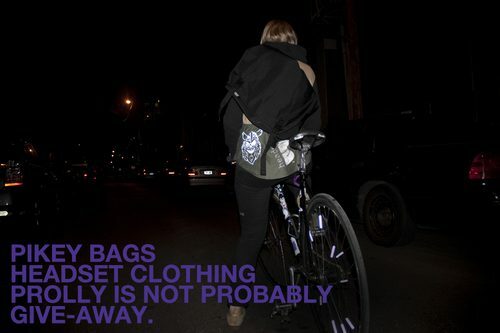 You’ve still got a few days to enter the Pikey Bags x Headset Clothing x Prolly is not Probably Give-Away. Headset Clothing is also going to kick down a cycling cap for 2nd place! Tell your girlfriends, your sisters and your friends about this. Check out the current submissions here at the original posting. The contest ends March 18th.